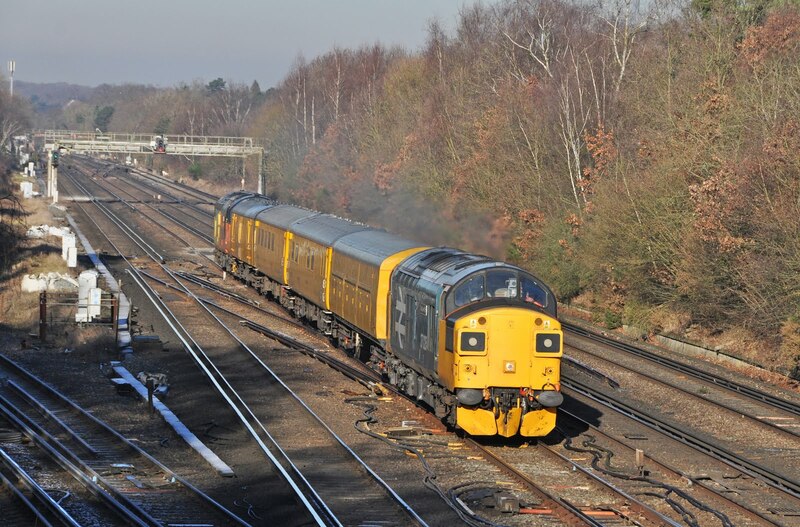 The main event; preserved 'Large Logo' 37025 continues to work for Colas Rail on test train duties. 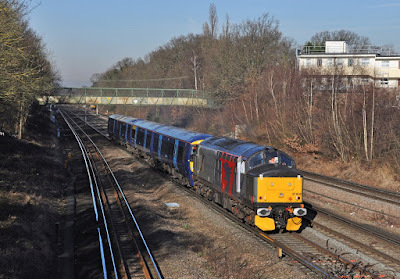 On this occasion it is partnered with sister 'split box' machine 37099 as it heads down through Petts Wood Junction with a test train from Hither Green. 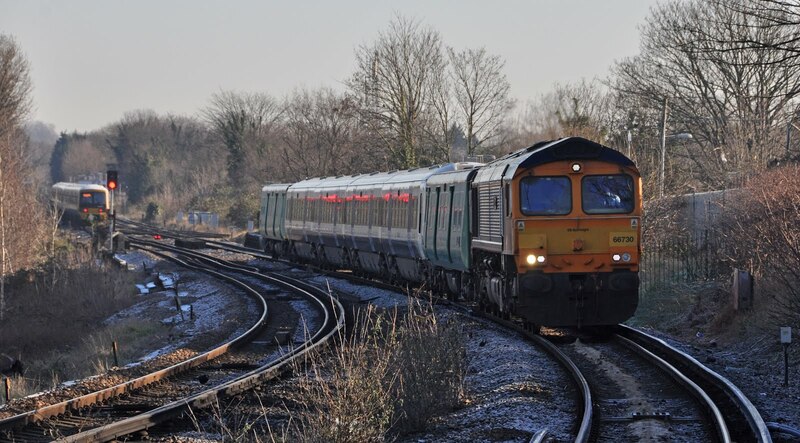 The train was due to terminate at Woking having spent most of the day covering lines in Kent however due to the lack of an available driver later in the day the train was instead terminated at Tonbridge. With the morning dawning cold and crisp and the promise of two class 37's leading trains within an hour I couldn't resist heading down South East London to catch the trains heading down towards Kent. The first train of the day was 66012 with an engineering train from Hoo Junction to St Leonards. I've been meaning to catch up with the class 375 drags for some while as they've been running with Rail Operations Group class 37's for well over a year now. 37800 is seem approaching Petts Wood on 5z58 with an overhauled 37805 in tow returning from Derby to Ramsgate. ROG have pioneered the concept of moving units without the need for barrier wagons. Things worked out nicely that there was time to catch one final stock movement on the way home. 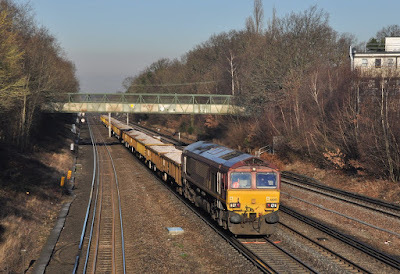 66730 is seen approaching Hither Green with 5X89 the Slade Green - Doncaster 'Networker' drag. This move contained more traditional barrier wagons, though interesting these are formed of former class 508 vehicles owned by Arlington Fleet Services.